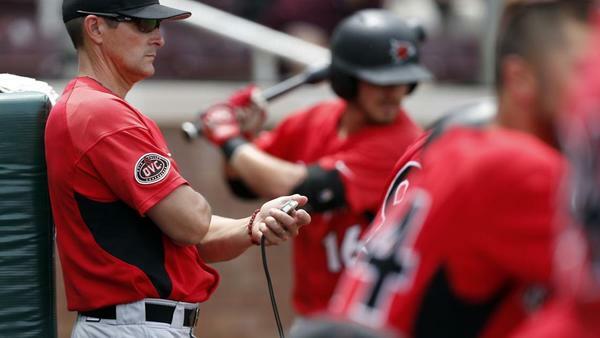 How are the college baseball teams utilizing advanced metrics if at all? I wrote a lot about some innovations that Bieser brought to the team two years ago. stltoday.comNew Tigers coach credits pitch recognition training for potent offenses at SEMO. Barring a transfer or major injury and assuming returning starters (Durant, Simms, Castillo) earn their jobs again, who are 2-4 names competing for the OL jobs replacing Adams and Pendleton? Early predictions on who has inside track or you think would win those battles? Case Cook spelled Pendleton at times last year at guard, but I would think there'll be some other guys in the running. Look for Larry Borom and Hyrin White to compete for the tackle job. Maybe Javon Foster as a redshirt freshman, and if he gets some looks on the edge, that could bump one of the tackles inside to compete at guard. That would be a good question for O-line coach Brad Davis, but he doesn't talk to the media. Good Thursday to you, Dave. The athletic department's financials are showing red ink for the past two reporting periods. Most recent was better, but still negative. Not a great business model right now and for the foreseeable future and college athletics is a huge business. We hear and read a lot about the need to generate more revenue especially via the football and MBB programs. Flip side. You're the athletic director. What athletic department operating expenses do you cut/reduce or eliminate, what programs are eliminated (understand Title IX and SEC rules are huge considerations)? Operating expense reductions and eliminations are going to be critical especially in light of the estimated $8-9 million loss should 2019's posts-season ban for football not be reduced by the NCAA Appeals Committee. Good question, and people aren't going to like my answer, but if your goal is to slash spending I think you have to consider getting rid of some teams that cost money and only subtract from the bottom line. Now, personally I'd try to avoid doing that, but if you have long-term financial concerns, it would be irresponsible to not put that option on the table. Now, before we get started, the new south end zone complex will bring in revenue that will offset the current losses. Not enough to offset $9 million lost in a postseason ban, but the revenue from the new suites and higher-priced ticket areas should push MU into the black for the 2020 fiscal year. Now, as far as cutting expenses, if you're getting rid of teams, you likely have to start with men's teams because of Title IX laws. I'm not well versed in all the legal requirements, but if you start with the men's teams, what is expendable? Baseball? Golf? Wrestling? Wrestling is a such a great program at MU and it wouldn't make sense to get rid of your best championship contender. I wouldn't like to see MU get rid of baseball. So if you decide against that, then you have to trim expenses in other ways. You can't really reduce travel expenses. Teams have to get to games. You can't cut food for athletes. Maybe you start with staff around the athletics department - and Sterk already has. He hasn't replaced some key staffers who have left for other programs. Instead they've consolidated responsibilities. Dave, what's the latest with Chester Graves? It's my understanding that he's nowhere close to being academically eligible to play for any Division I program anytime soon. Dave, you've made several references to how Tennessee's MBB was in a relatively similar place, three years ago, to where Mizzou is, now. Can you elaborate a bit on how (I assume) you see similar talent both in Columbia and on the recruiting horizon and in the coaching staff to make a similar rise, in the coming years? Rick Barnes didn't inherit much talent and the guys he brought in were just considered ordinary recruits. But player development and retention have been crucial in UT's turnaround. Schofield and Alexander got better each year. Schofield and Williams completely transformed their bodies in the program. Bone and Bowden struggled early - and have developed into really good, bordering on elite players. It's a junior-senior program led by a head coach who seemed to be rejuvenated when he got fired at Texas and really got players to buy into his message. It's an ideal blueprint for a program if you're not bringing in five-star talent, but it still takes the right coach who knows how to identify talent and develop talent. MU's core is still very promising. Martin was incredibly upbeat Tuesday in Knoxville. He really likes his freshmen. Here's what he said: "You gain through wisdom and experience. Xavier Pinson, Torrence Watson, Javon Pickett, I’ll go to battle with all three of those guys. They’ll continue to grow as they get older. One thing we always talk about is the pain and the pain within sport. You lose games and how you lose games, you let that pain allow you to grow. I think those guys are doing that. We’ll be all right because of it." I never see heidelberg get a mention in your restaurant comments, what's the deal? The wings at heidelberg are as good as CJs albeit with less variety. And Gumby's?? I realize that was a question posed to you, but Gumby's is a joint for the townsend hall alums, or at least their students. Nothing personal against the Heidelberg. We frequent there a couple times a year but just not among my favorites. The football team got a lot of help last year from the offensive and defensive analysts. Now Monachino has moved on and McGee promoted to assistant. Are those positions that are always filled, or just added as opportunity arises? Any rumblings or thoughts on potential replacements? I've heard that Odom wants to cut down on staff size. Too many cooks in the kitchen at times with all the analysts. He created those senior analyst positions last year when Monachino and McGee became available - and also they were came incredibly cheap because they were both still getting paid by former employers. I'm not certain he'll hire established coaches like that this time around. I realize this is asking for a lot of conjecture (for example, although Mizzou saw potential in Charles Harris, who knew he'd be a first-rounder and Michael Keck would barely play a college game) but how well do you think Mizzou addressed its pass rush with this recruiting class? I never saw Chester Graves recruiting (where he landed). Any thoughts on this class, now that it's complete on that front and overall? They signed five D-linemen, three or four of whom could be more suited for the edge. I'd like to share with you what Odom thinks about the guys they signed yesterday but MU didn't make him available or share any comments or press releases on the signees for the class, which is really unusual on signing day, even now that most players sign in December. What happens with the bball starting 5 when Mark Smith is healthy again - simple as Pinson going back to bench? Anything in the team's play lately that might make Cuonzo do otherwise? I would think Smith replaces Pinson, but Pinson is getting heavy minutes now because he's earned them. It's better for everyone if Geist is playing 30-32 minutes instead of 38-40, so bringing Smith backs helps reset the rotation. I'm just not sure he's going to be an impact player there. And if he is, what does that say about all the receivers they recruited to actually play receiver. This group returns Johnson Knox, Scott, Gicinto, Floyd and adds Nance, all guys who have played significant SEC reps. You add Banister, Ofodile, Thompson and the freshmen, Boone and Massey. Great for Wilson if he can beat out some of those guys for a regular role in the rotation, but somebody slipped up somewhere if a handful of receivers are losing reps to a converted backup quarterback. could you provide Barry Odom's coaching tree? Is it through Justin Fuentes? Pinkel? I would put him in the Pinkel tree first and foremost, but I supposed he would count for Fuentes, too. Dave, any truth to the rumor that the NCAA threatened to give Cleveland State 3 more years of probation if Mizzou appeals? As you've noted in columns in the past, Coach Martin has made commitment flips something of a trademark (Jackson, Watson, and 'sort-of' with the Illini trio). It's been good for the program, but strikes me as a bit curious/concerning - i.e. maybe he's still talking to players after commitments are made and violating NCAA recruiting rules. You have more knowledge on recruiting rules and insight into CM's process - are my concerns warranted? Martin has a clean NCAA record and serves on the NCAA's oversight committee. He's never been formally accused of tampering with a recruit to my knowledge. Maybe some fans don't like it when a recruit flips his commitment, but that's part of the game. Have you been surprised by the way the staff has used KJ Santos? My impression when we signed him was that he was a guy who played mostly on the wing, but the staff has utilized him more a big/post player. Do you think that's how they see him long term, or is that more out of necessity right now because of a lack of front court depth? Some of that's by necessity, but I don't see him having the quickness to play on the wing right now, not at the expense of guys like Pickett or Watson. They like him as a defender, but he's just not very assertive offensively. He looks like he's playing in quicksand when he's on the offensive end. Some of that might be agility or just confidence in his role. He's clearly the third option now at power forward. With Mark Smith already out of the rotation, they don't really have a spot for a guy who plays heavy minutes and doesn't contribute offensively. A year ago we lose our prize basketball recruit to back problems after he scored one basket. This year his younger brother has season ending knee surgery. Now, we have a tutor scandal that is punishing our football program. This sounds like someone wrote a script. We have a senior quarterback from Clemson and now we have drama. Throw in that non-pass interference call in the Kentucky game and our disastrous men's basketball SEC disaster. And stay plugged into STLtoday.com to read about it all! FYI, today's media session with Sterk that I touched on earlier has been postponed until next week. Since it was already a rebuilding year do you think the Smith injury has been a small blessing in disguise since Watson has seemed to step him game up lately? No. It's not like Watson has been great in every game Smith has been out - and not like Watson still couldn't have improved with Smith in the rotation. If the appeal does not result in any changes to the sanctions, can Mizzou appeal to a court outside the NCAA ? No. The appeals committee's ruling is final. I saw your comment on Heidelbergs. Have you come across Como's bbq? I've just noticed them. I haven't remembered anything memorable about Buckingham's. The places in Columbia are all fair, nothing outstanding. We'd probably eat at CoMo Smoke & Fire if it were closer but we live on the other side of town. It's pretty good. Seems like you are pretty much ‘caving into ‘ into the jib talk that has been taking place on the SEC network concerning the Tiger sanctions. They seem to have forgotten about all of the good things that are happening with the sports programs! I no longer listen to them. Excuse me? What is jib talk? And where have I caved to anything? I'll hang up and listen. OK, folks. That's it for today. We'll chat again next week. Thanks for playing along as always.